You are not alone... Don't believe us? Read Sherryl's story. Here at Kegel8 we've been looking for Ambassadors to share their Pelvic Floor story and help others to know that they are not alone. A Kegel8 pelvic toner is the best choice you can make for your pelvic floor, helping you to make the most of your kegel exercises. We'd like to introduce Caroline. She is our newest recruit and has an amazing story about how you don't need to suffer in silence. An incredibly active lady, Caroline shows that Pelvic Floor issues should never hold you back! We all know that incontinence is a rarely talked about subject but it may surprise you to learn that at least 1 in 3 women will suffer from some form of incontinence. Here at Kegel8 we are passionate about helping women (and men too) to overcome the embarrassment and inconvenience of incontinence with non-surgical solutions. Our range of award-winning electronic pelvic toners work to strengthen the pelvic floor to help treat cases of stress, urge, overflow and mixed incontinence in a non-surgical, clinically-approved way. 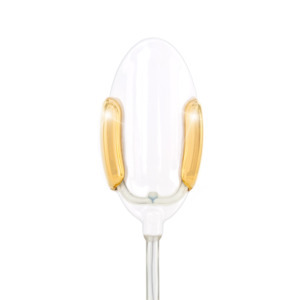 So in honor of World Continence Week we are giving away a Kegel8 Ultra 20. As January starts and you wake up out of your turkey and chocolate-induced haze, your thoughts are probably turning to how you’re going to work off all the after-effects of the festive season. If you have a weak or prolapsed pelvic floor, you may have been advised to stay away from the gym and only do mild exercise – this can put a lot of women off exercising at all out of fear. At Kegel8 we don’t want you to miss out on the many benefits that exercise has on your body and mind! We’ve put together this guide on how to tone your body and your pelvic floor muscles in a way that’s safe and fun. Meet Jane Atherton; Therapist, Author, Menopause Specialist… and Kegel8 Lover! 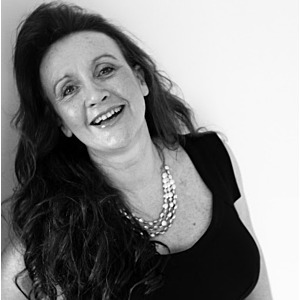 With great admiration, we'd like to introduce you to Jane Atherton - skin therapist, qualified clinical nutritionist and menopause specialist. Jane started her career running a successful menopause clinic in Hong Kong, helping women understand and manage the challenges menopause brings. Now living back in the UK, Jane is a member of the British Menopause Society and provides support and advice to the 10,000 women who follow her on social media; not to mention being the creator of the innovative menopausal skin-care range, Phytomone. We were thrilled when Jane wanted to give the Kegel8 Ultra 20 a try; with such experience her opinion is invaluable... here's what she thought. Waist training is the new craze, celebrity fans such as Kim Kardashian and Jessica Alba swear by its effectiveness and post regular snaps on Instagram of them sporting their waists being clinched tightly by these new trainers. Charlotte Crosby: Me Me Me... and wee! Did anyone catch this interview last week? We felt for Geordie Shore's Charlotte… how did it make you feel?